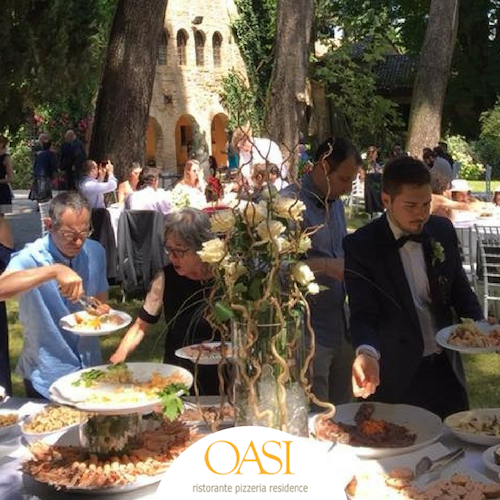 Typical dishes cooked and tasted on the spot: Variety, abundant and delicious dishes of the Marchigiana cuisine brought inside and / or outside of the rooms / events by a highly qualified staff. An external Catering Service made available to customers. The types of events can be varied: Weddings, Ceremonies, Gala Evenings, Private Parties, Congresses, Business Lunches and any other type of event. 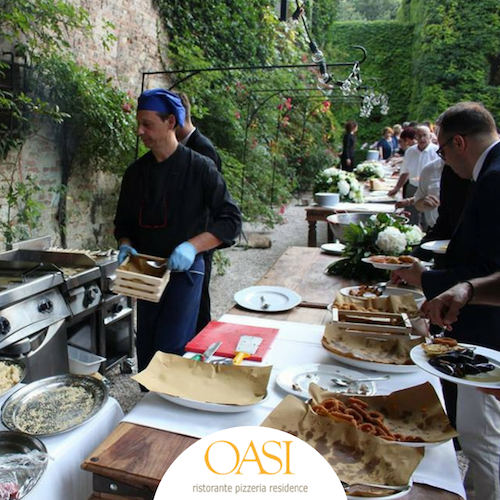 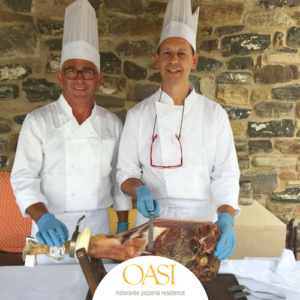 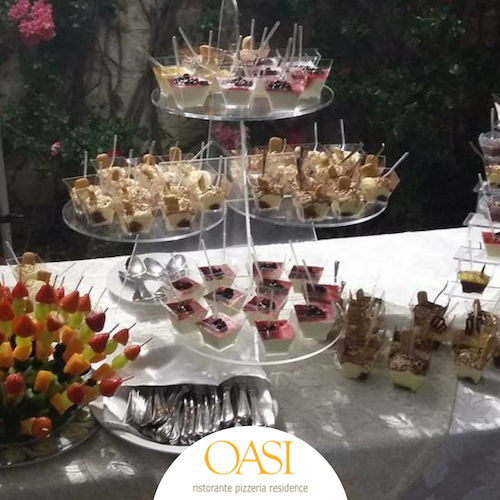 The Oasis Restaurant provides everything necessary for the preparation in place, even outside.